Just a few weeks ago Burris was toxic. Now he's the man. 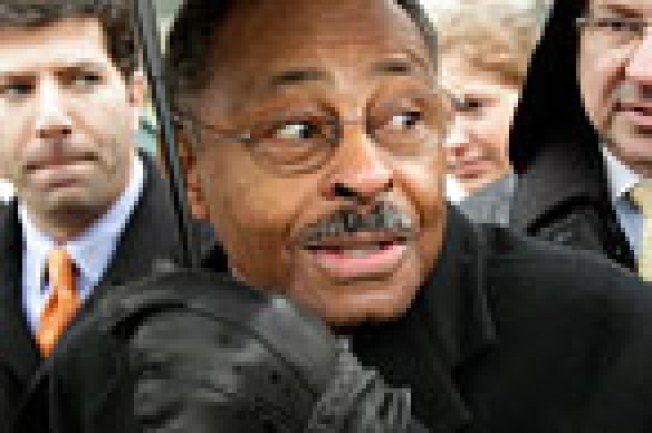 Just two weeks ago, Democratic leaders suggested that Roland Burris was tainted as a result of being appointed to the Senate by scandal-tarred Illinois Gov. Rod Blagojevich. Now he's got spots on some top Senate committees and is in the position to help shape legislation on foreign affairs and domestic security. The Senate approved a resolution Wednesday night setting committee assignments for the 111th Congress, and Burris is now poised to serve on the Armed Services Committee, Homeland Security and Governmental Affairs Committee and the Committee on Veterans Affairs. On the Republican side, Sen. John McCain swapped committee assignments, signaling he wants to play a larger role this Congress on energy and healthcare issues. The former GOP presidential candidate will continue to serve as ranking member on the Armed Services Committee and on the Indian Affairs Committee. But he jumped onto three new panels: Energy and Natural Resources; Health, Education, Labor and Pensions; and Homeland Security and Governmental Affairs. In exchange, he left his post on the Commerce, Science and Transportation Committee.